Nurses are responsible for providing vital medical care to patients despite inclement weather. 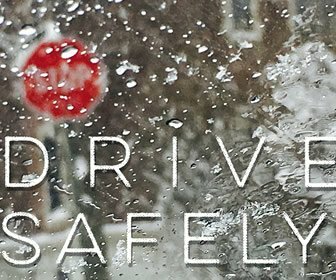 It is important for nurses to be understand the importance of preparation and planning for driving in wintry precipitation. This article will provide tips for safe winter travel. I live in a small rural town in Alabama and wintry precipitation is an uncommon event. Overall, drivers in Alabama are particularly novice when it comes to navigating the challenges of driving in ice and snow. I recently returned to hospital nursing and experience anxiety when the weather forecast even hints at winter mischief. Hospitals continue to provide a vital medical service to the community they serve despite severe weather conditions. Therefore, it is important to be prepared and aware of safe driving strategies. To drive or not to drive; that is often the question. The policy for inclement weather at my facility is personal safety is primary. However, critical staff are also encouraged to report "if at all possible". It is often a stressful decision nurses need to make during inclement winter weather. Hospitals will often call staff in early to decrease the risk of driving in snow and ice and ensure adequate nursing coverage. In addition, hospitals will often designate volunteers with four-wheel drive vehicles to assist in transporting staff to work safely. Depending on your geographical area, your winter car kit may contain additional items, such as tow chain or rope and a sleeping bag. It is important to make sure your gas tank stays at least a half tank full. If you do get stuck in the snow, it is important to stay with your car. If you are not immediately near a place of safety, do not try to walk. Place an emergency reflector or tie a brightly colored cloth to your antennae to signal for help. When your car is running, turn on the overhead light to help others see your vehicle to prevent dangerous fumes from building in your car, use your heater for only 10 minutes every hour. Finally, consider opening one window away from the cold wind to let fresh air in. It is good to review safe driving tips in preparation for wintry weather. It seems simple, but let someone know where you are going, what route you are taking and your estimated time of arrival. This information will make it easy to locate your car if it gets stuck. Implement safe driving basics such as, wear seatbelt, avoid distractions (cell phones, texting), don't follow too closely and don't use cruise control. Be sure to accelerate slowly to avoid hydroplaning. Also, remember bridges, overpasses and tunnels will ice first and will often be slick with difficult to see black ice. The decision to drive or not to drive is often challenging. If roads are closed by local or state emergency management services, the decision to drive is often made for you. As a nurse, you have a responsibility to the community you serve to be aware of forecasts and prepared for inclement weather. A final tip is to maintain a positive attitude. When I entered the nursing profession, my desire to provide care and assistance for others outweighed the inconvenience of wintry weather. RN, MSN with over 20 years nursing experience. Worked in a variety of settings- from bedside nursing to leadership and nursing faculty. Good, common sense advice for a hot-button issue. Another tip: plan an alternate "snow route" (if feasible) to use. I had a route using main roads that were plowed early and was relatively flat and straight. If ambient air temperatures stay consistently below freezing, won't the water freeze??? I have had some liquids in the car freeze over the years. And some have burst. So long term packing is out of the picture. Get a flexible water container, and don't fill it all the way so that the ice has room to expand. Too frozen to drink? put it near your heater, or inside your coat to thaw enough to drink. Alternative, if you must eat snow to survive, melt it in your mouth before swallowing, so you are not putting the worst of the coldness directly to your core. why is no one talking about the dangers of herd mentality?